Long before I knew the book existed, I had this photo by Julie Pointer Adams on my moodboard. Wabi-Sabi Welcome by Julie Pointer Adams is the perfect book to spend a rainy afternoon with. The first time I read it was on a sunny train trip, though. The book is based on the Japanese wabi-sabi philosophy that is often considered an aesthetic although it reaches way beyond the visual. 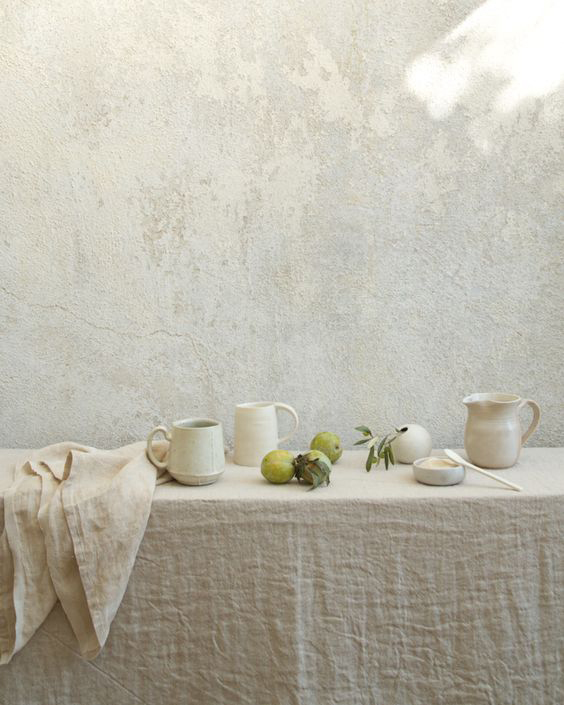 In Wabi-Sabi Welcome, the philosophy is applied to the art of entertaining. Focus is on embracing the imperfect; entertaining with thoughtfulness and ease by creating a warm environment for the guests rather trying to impress them, which always leads to a stiff atmosphere. The book is divided in five chapters. Each chapter explores different regions where wabi-sabi principles are woven into daily lives: Japan, Denmark, California, France, and Italy. However, the principles of the book can be practiced anywhere in the world, and with the means you have right now. Rather than feeding your need to go out to buy new stuff, the book introduces a mindset of needing fewer material possessions to make you satisfied and happy. Quality and meaningfulness over quantity. 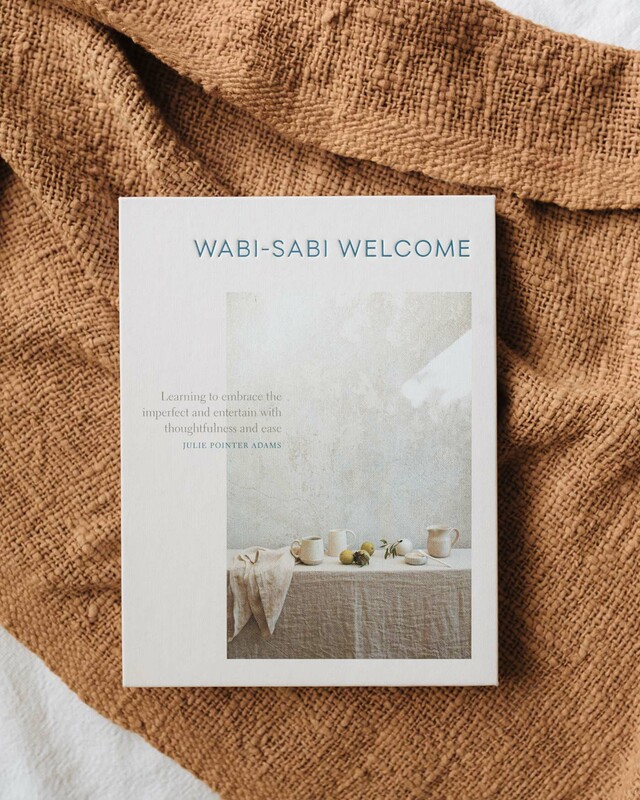 Wabi-Sabi Welcome is a new way to entertain and, possibly, the ultimate way to entertain. It teaches you to pay more attention: to where your mind is, to other people, and those small everyday moments that make up your life experience. After all, entertaining is about being together and being ourselves. As simple as that, and as frightening as that.